This individually handcrafted Return from Military Deployment Stone is made of durable glazed pottery which can last a lifetime. At about 1.5 inches, it is sized to fit in a pocket, blessing bowl, or a faith chest. Purchase one or more to gift to others as a meaningful reminder of this milestone. This stone complements the Return from Military Deployment Milestone Module. The return from a military deployment can stir up many different types of feelings for both those returning and for their families. What one has experienced while being separated from family and the community can be life changing. It is important to recognize the return to family and community and uplift this occasion with support, prayers, and blessings. 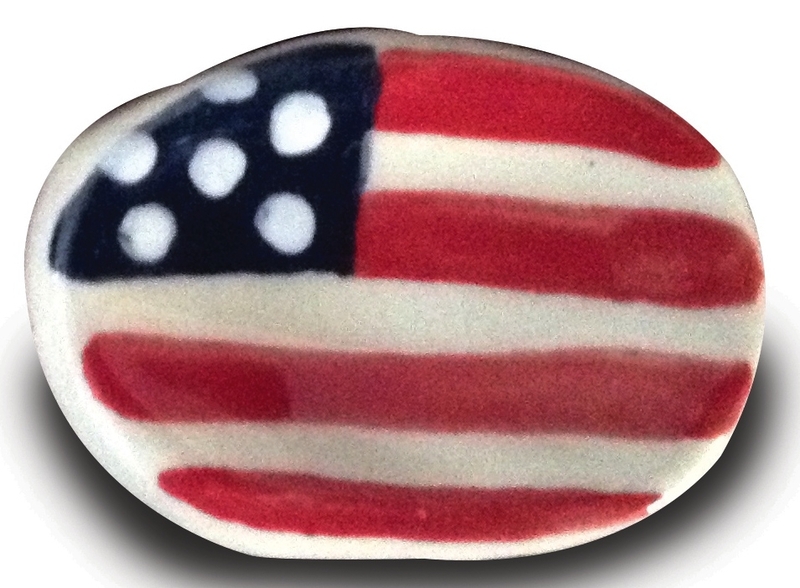 This Return from Military Deployment stone for gifting is a wonderful keepsake to help remind individuals that God is with them during this transition back to the new normal relationship with their families.